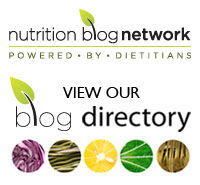 If you enjoy reading topical nutrition blogs (and if you don’t, um… you may be in the wrong place) I recommend you check out one of the newer kids on the block Nutrition Wonk (aka Katherine aka @smarfdoc on twitter). As a grad student studying nutrition biochemistry and epidemiology, Katherine takes a science-focused approach to writing about popular nutrition news. She does an excellent job of writing in a way that’s both accessible to the layperson and informative to those in the field. Looking for an unbiased assessment of the latest article on the war on sugar? A thorough take-down of Laura Prepon’s diet book? How about an interview with Dr Yoni Freedhoff? She’s got it all, and more. I’m looking forward to reading her future posts and I hope you will as well! Tags: bichemistry, blog, diet book, epidemiology, follow friday, Laura Prepon, nutrition, Nutrition Wonk, research, science, war on sugar, Yoni Freedhoff | Permalink.